Thomas Lyte were commissioned by G.H Mumm Champagne to come up with a concept for a stunning showpiece item to display at race days and other events. A team of expert designers worked closely with master craftsman at the Thomas Lyte silver workshop in London to create a majestic deluxe champagne cooler standing at 64cm tall, with the ability to hold 3 bottles of G.H Mumm Champagne seated in a bed of ice. 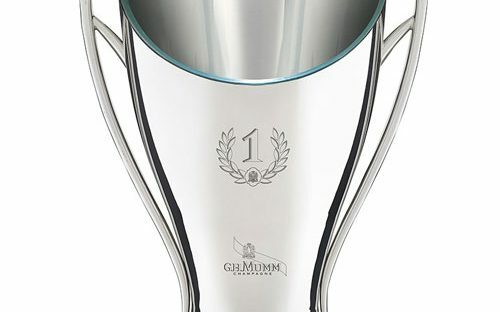 engraved with the number 1 to embody success and achievement, along with the GH Mumm logo, this demonstrates the craftsmanship involved in the production. However, the highlight of this masterpiece is certainly the red illuminated Mumm logo placed at the base of the trophy.